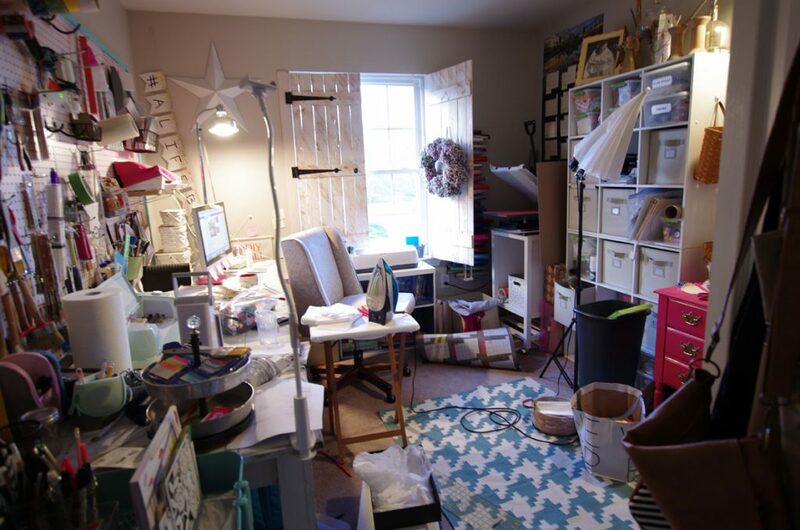 Have you been busy cleaning up your creative space this month? I sure have. 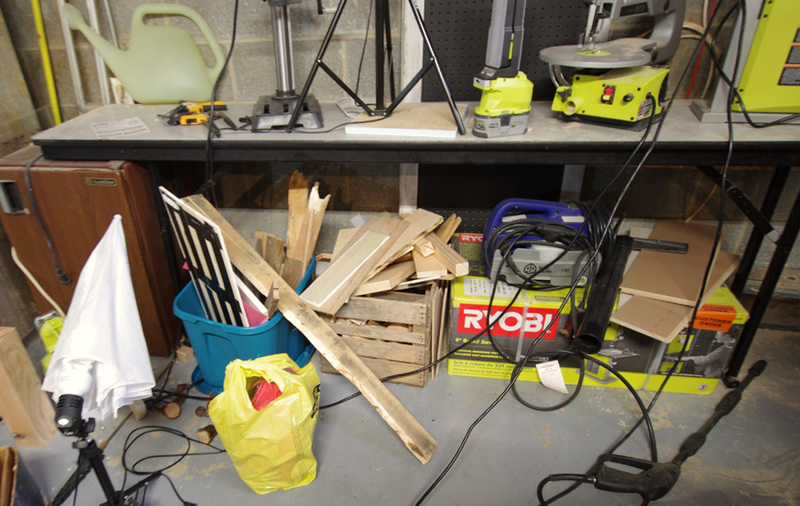 And even though I’m not completely finished, these two creative spaces are much improved. Much better! I must admit I did a lot, I mean a lot of purging. But I’m not done. There’s still work to be done. I still want to build a murphy-style desk on the wall where the cubbies are. I just ran out of time. I love coming into this room now. The brightly painted sewing cabinet and the big paper flowers on the wall make me smile! 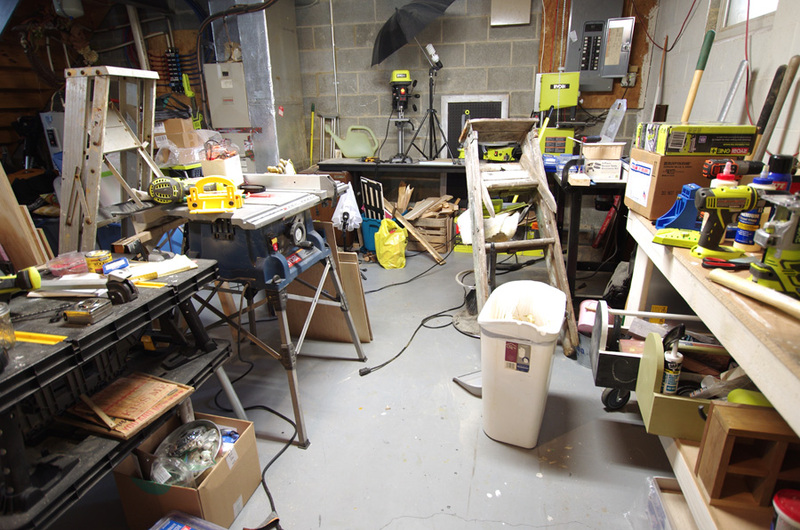 Now let’s go down into the basement workshop area. I’ll just let the photos do the talking here! Look at all of that open floor space! As I mentioned on the Facebook Live Video yesterday, there’s still some work to be done but for the most part, it is done. 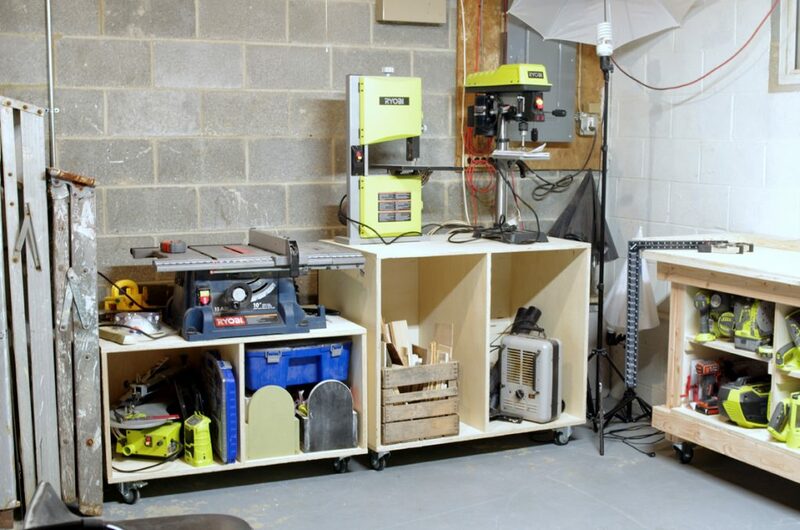 The plans for those rolling storage carts shown on the left in the photo above are available on RYOBI Nation. Just a reminder about the wonderful prizes we have. To be eligible you need to upload your before photo here and upload your after photo below. Thanks to our fabulous brands! 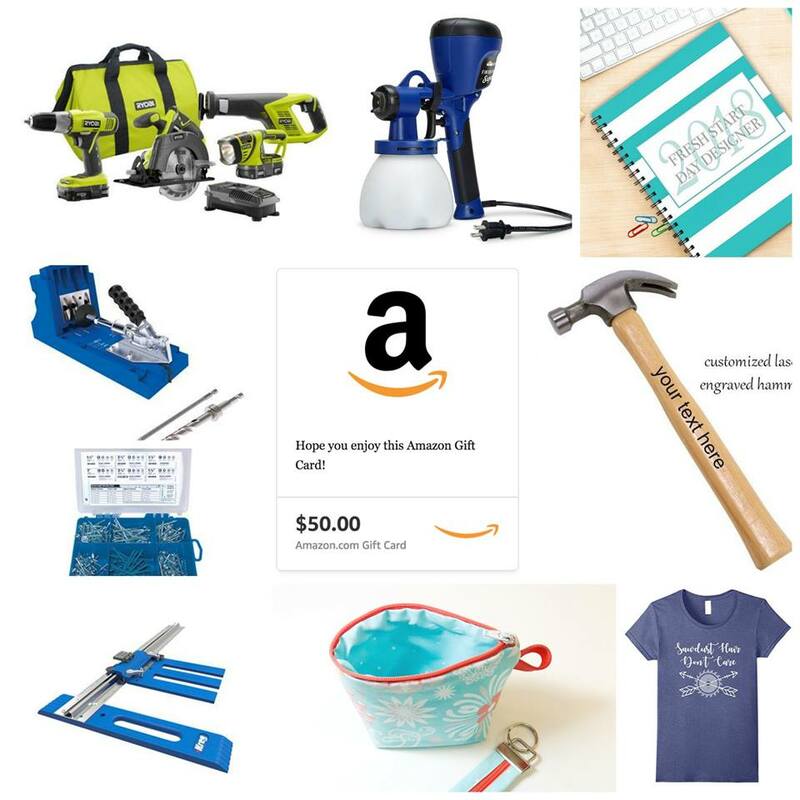 Kreg , Homeright and RYOBI! 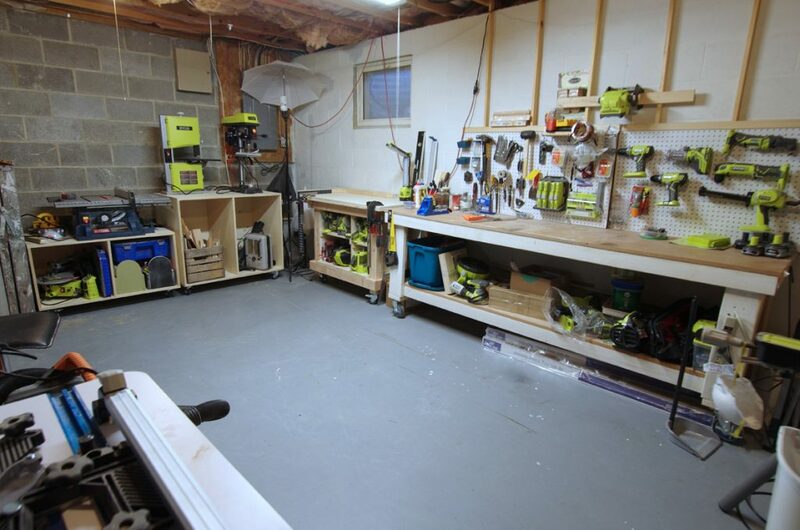 (be sure to click the Ryobi link to learn all about their DREAM WORKSHOP). I may earn money or products from the companies/products mentioned in this post at no additional cost to you. As always I only recommend products and services that I use and love. I can’t wait to see your before and after photos! 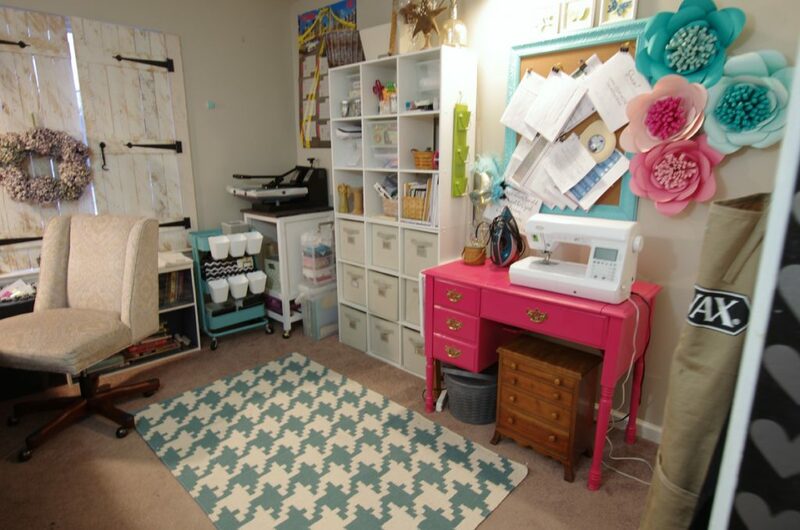 What a difference in your craft room! I chose not to join in the challenge due to sickness and stressful life stuff, but I am slowly working on my craft room, too. You’ve given me hope that one day it will be as organized as possible. I’m so envious of your space! I love the new storage areas for your tools. Fabulous job my friend! 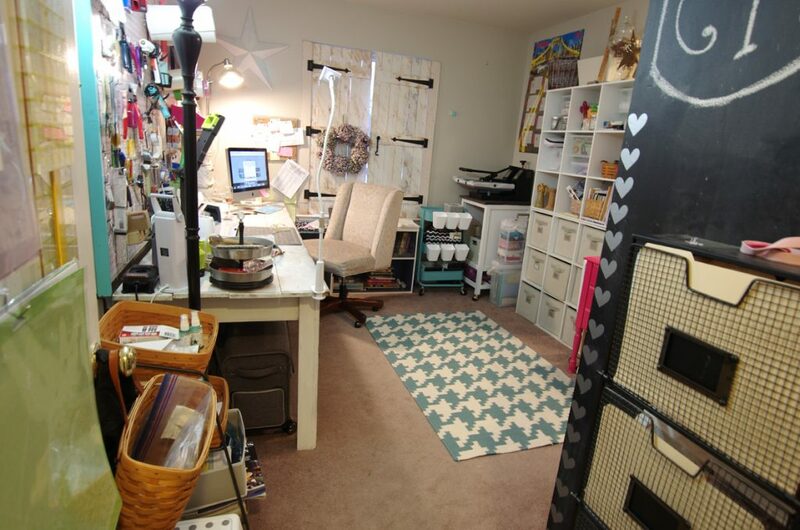 ps the craft room is amazing as well!